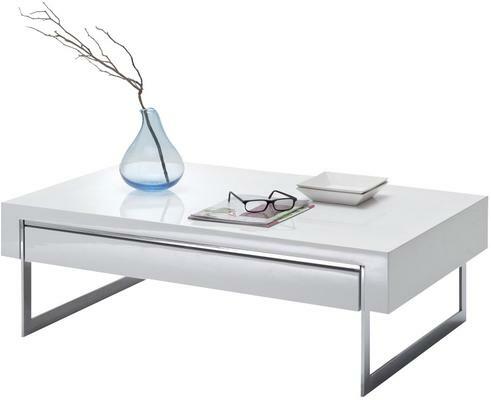 Both sleek and functional, the Lema coffee table with drawer from Torelli is a dazzling choice for the modern interior. This first-rate occasional piece features a wide top which includes a handy drawer making it ideal for displaying and storing magazines, remote controls and the like. Finished in a chic white high gloss this stylish contemporary coffee table also features chrome legs which add to the designer feel the piece exudes.